Franco Whole Foods, a tortilla producer based in California, US, plans to open a new facility in Las Cruces, New Mexico, creating 160 new jobs. To establish the new plant, the company will transform the long-vacant warehouse on 875 W. Amador Avenue into a modern manufacturing facility that will meet food safety standards. The new facility will produce tortillas in a number of varieties such as flour, corn and whole wheat. The raw tortillas will be distributed to stores across the country. The New Mexico Economic Development Department will offer $75,000 in Local Economic Development Act (LEDA) funds to help offset costs of upgrading their warehouse to meet the needs of manufacturing tortillas and food safety standards. Franco Whole Foods will also qualify for JTIP, which assists companies by reimbursing 50% of wages while training New Mexico workers for new positions. The City of Las Cruces will also complement training dollars through its Wage+ Program. Franco Whole Foods is a national supplier of uncooked tortillas for Whole Foods and Costco. 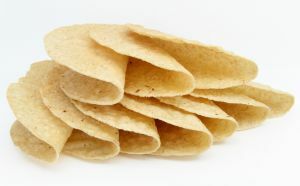 It is known for producing tortillas that have a shelf life of 90 days.